To prepare employees for a new workplace that would be under construction for years before the company moved, MGA&D converted a former old-fashioned ballroom in the existing building into a test area for the new environment. 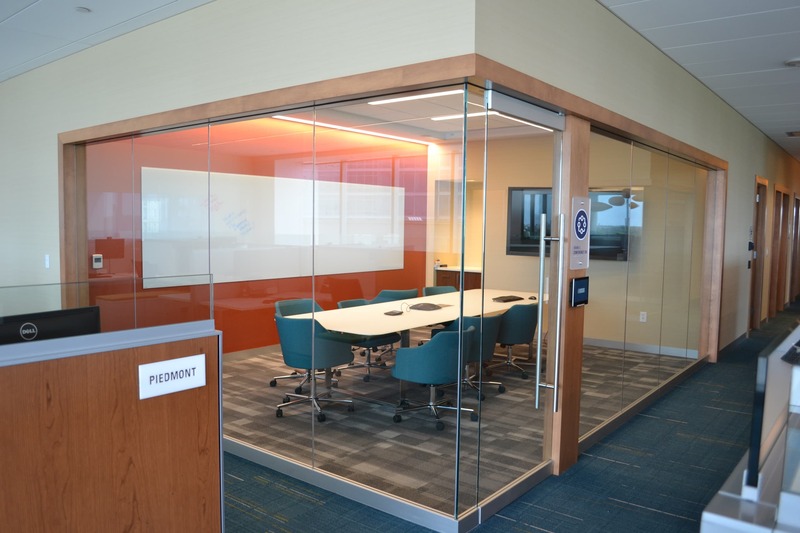 Included were a divisible multi-purpose room, two types of huddle rooms and a small conference room, which allowed the team to test both the uses and various systems for IT, audiovisual and room reservations. A small coffee bar became a mock-up for future staff pantries, including a media wall. Workstations and a variety of informal seating options sampled how individuals would work in the future. 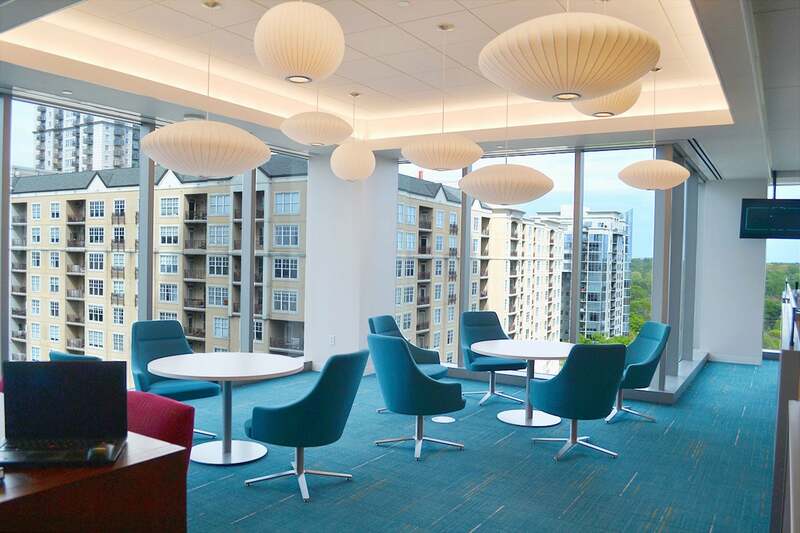 Since the company wanted the physical environment and operation of its several small regional offices to be consistent with the future headquarters and major operational hubs, moving its Atlanta office to a new location was a perfect opportunity to test all the components of the new workplace. It also allowed the company to evaluate how the remaining small regional offices would be designed. 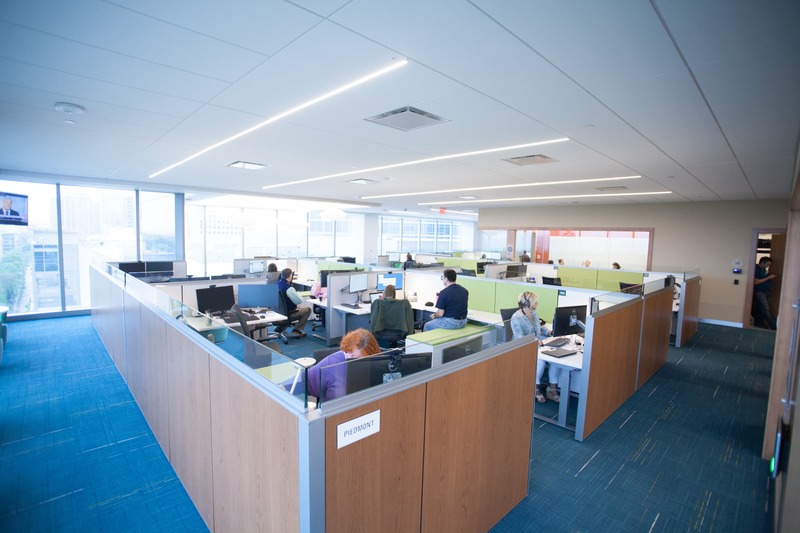 Since the office population of about 75 people was largely mobile, we were able to test a free-address seating arrangements and reservation systems, and mock-up a variety of seating arrangements. Atlanta, Georgia and Washington, D.C. 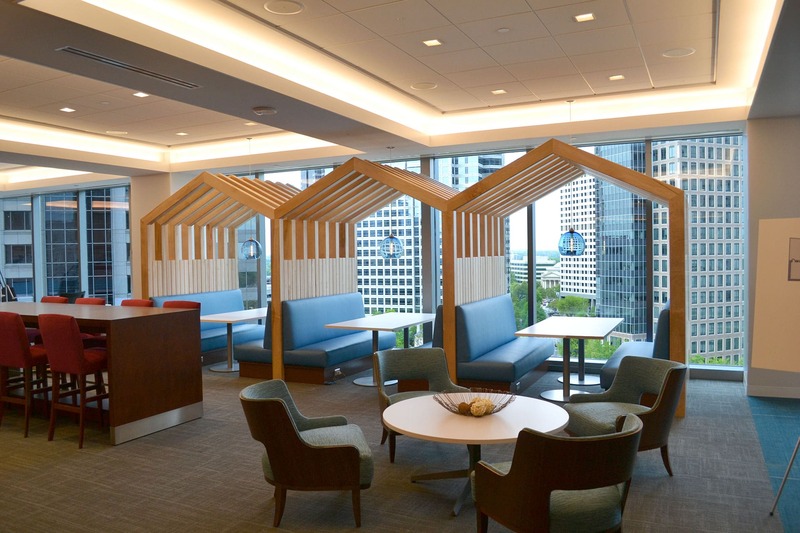 Workplace Transformation - Washington, D.C.